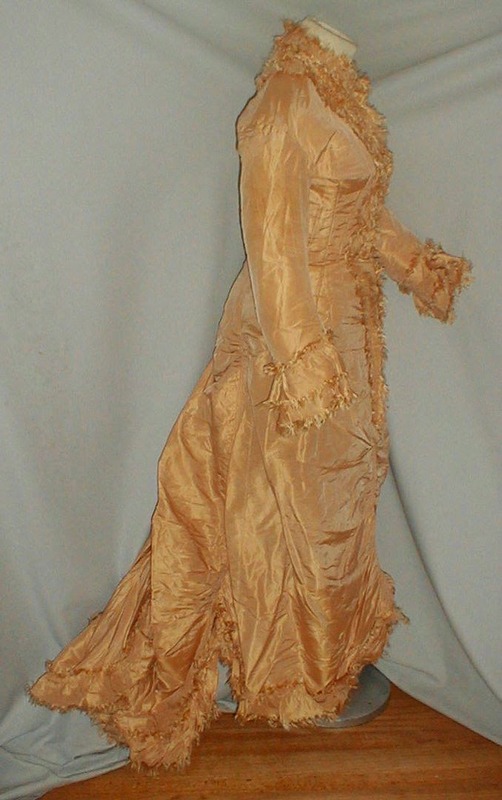 A shimmering 1880’s gold silk polonaise styled I piece over dress. 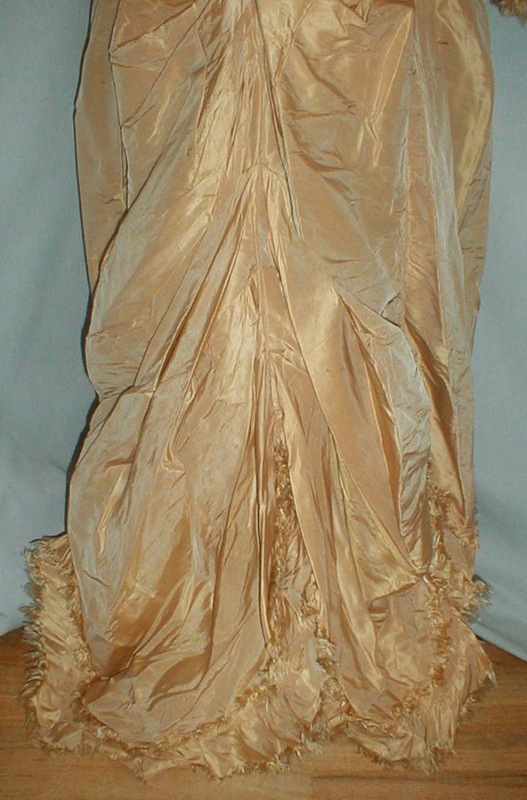 The dress is lavishly adorned with gold silk fringe. 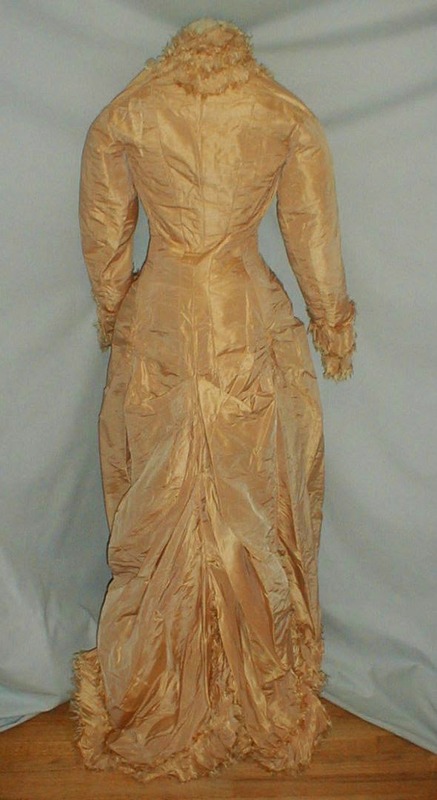 The skirt is styled with pleated drapery and the back is trained. 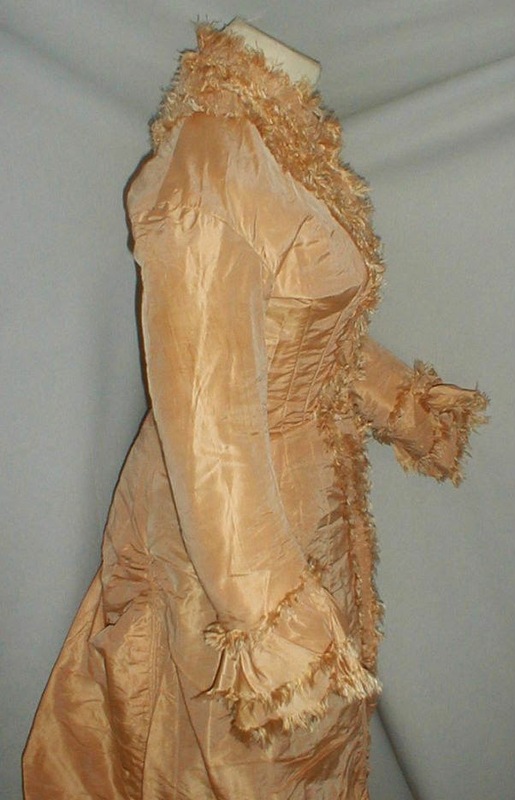 The bodice is lined with cotton and the skirt is lined with buckram. The over dress has a front hook and eye closure. It was probably worn with an underskirt. It is in very good condition. 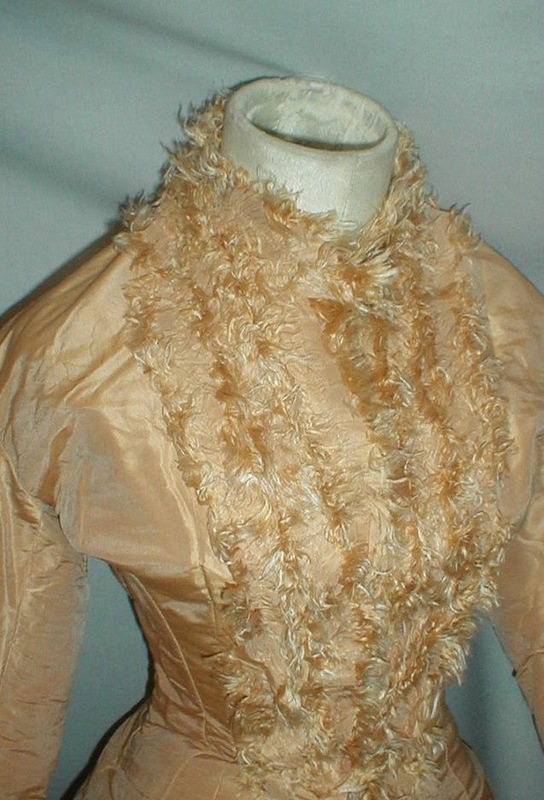 There are no splits or holes in the fabric and no underarm discoloration. There is a 2 inch water mark on one shoulder but no other discoloration. Bust 34 Waist 24 ½ Front length from shoulder to hemline 48 Back length 57. 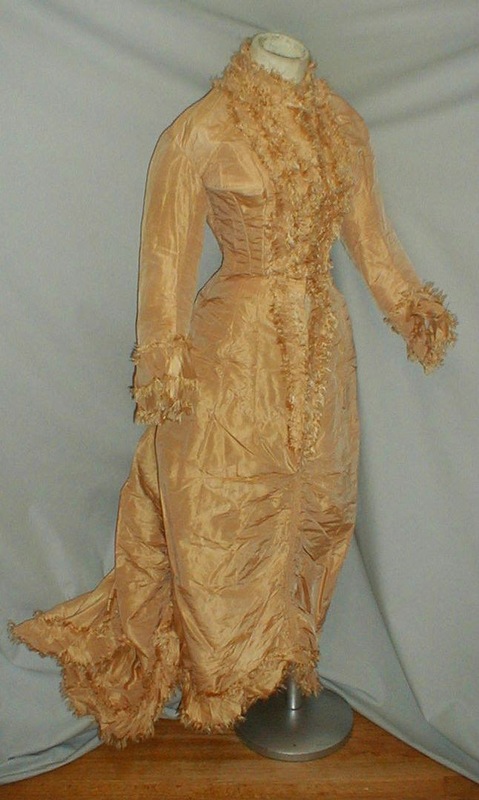 ...It looks like Miss Piggy skinned Animal, dyed him gold, and then used his hide to trim her new frock. :-D Miss Piggy would totally do that, ya know. My first thought was "Drool, drool!" I adore this dress. Now I'm rolling on the floor laughing! Miss Piggy *would* do that.